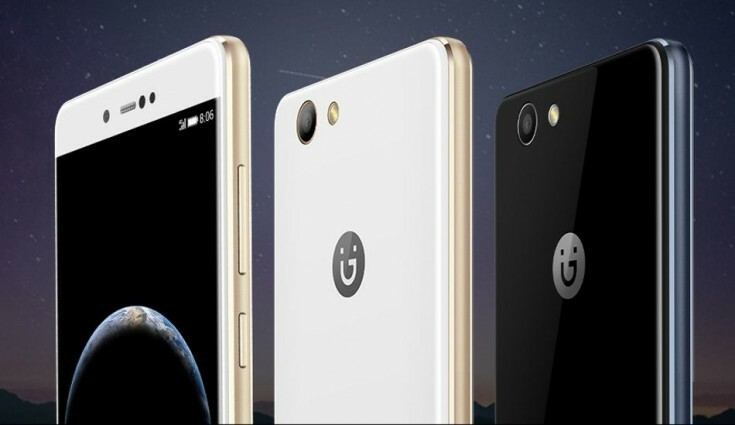 Today, Another budget smartphone has been introduced by Gionee technologies called F106 which comes with entry-level specs and features for Android users. The device is available in the Chinese market that has been priced at Yuan 999 (approximately Rs. 9,800). You can purchase this handset in two colour variants, i.e. Black and White. It is a low-budget smartphone so the company has provided some useful specs and features. As for features, it offers a 5-inch IPS display that has a resolution of 720 x 1280 pixels so you can enjoy HD videos on the handset’s beautiful screen. The phone is mere 8.4mm thin and weighs around 150.2 grammes. It has a dual SIM slot that supports both 4G and 3G connectivity. The company has provided Android 6.0.1 Marshmallow Operating System on the phone. As far as hardware are concerned, it is powered by a MediaTak MT 6737 processor clocked at 1.25GHz quad-core CPU along with Mali-T720 MP1 GPU. Users get 2GB of RAM and 16GB of internal storage which can be further expandable up to 128GB via microSD card. The Gionee F106 is backed by 2660 mAh Polymer lithium-ion battery. On the camera front, it has an 8-megapixel of rear camera with LED flash and 5-megapixel of front-facing camera for selfies and video calling. Connectivity features include 4G LTE, Bluetooth 4.0, WiFi 802.11b/g/n, a microUSB port, 3.5 mm headphone jack and other options. As of now, Gionee F106 is available to purchase in the Chinese market and there is no information when the handset will be available for other markets. For more updates on Gionee F106 and other smartphones, stay tuned with us.